RICHMOND (December 5, 2016)-As the ongoing heroin and prescription drug crisis continues to claim lives and touch families in every corner of the Commonwealth, Attorney General Mark R. Herring today relaunched www.HardestHitVA.com as a one-stop shop for prevention and educational materials on Virginia's heroin and prescription drug abuse crisis, as well as a treatment resource locator to help Virginians and their families connect with treatment resources in their community. Through June 30 of this year, approximately 208 Virginians have died of a heroin overdose, 288 of a fentanyl overdose, and 220 of a prescription opioid overdose. In 2015, 342 Virginians died of a heroin overdose, 224 of a fentanyl overdose, and 397 of a prescription drug overdose. "Nearly 1,000 Virginians died of a heroin or opioid overdose last year and this year is on pace to be even deadlier. That means more loss and more heartbreak for too many Virginia families. When we started thinking about tools we could bring to this fight against heroin and prescription drug abuse, we knew that education and prevention had to be priorities right alongside enforcement and legislation," said Attorney General Herring. 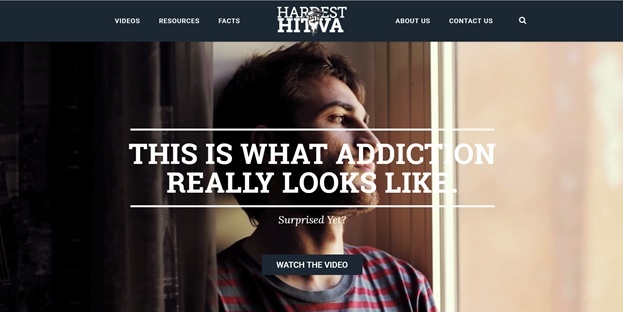 "Heroin: The Hardest Hit and the new HardestHitVA.com are the centerpieces of our education and prevention efforts, providing really compelling and effective messages to young people about the dangers of heroin and prescription drug abuse and just how quickly these powerful drugs can take over your life. I will forever be grateful to the Virginians who shared their stories with us for the documentary, especially the parents who let us meet their children who sadly lost their fight with opioids. If this film breaks through in the minds of young Virginians, it's because of all the men and women who were willing to share their stories and turn tragedy and heartbreak into resolve and action. This fight isn't over by any means, and we're going to keep pushing until we get the problem turned around." The relaunched www.HardestHitVA.com will host Attorney General Herring's award-winning documentary "Heroin: The Hardest Hit," which features Virginians telling their own stories of addiction, overdose and recovery, including powerful testimony from parents who lost their children to an overdose, Virginians in long-term recovery, and law enforcement and healthcare professionals working to address the problem. Aired on NBC12 in Richmond and more than 5,000 times throughout the Commonwealth on Cox Cable. Cox Cable broadcasts are expected to continue through 2017. Been honored with a Telly Award and a Communicators Award by the Academy of Interactive & Visual Arts. 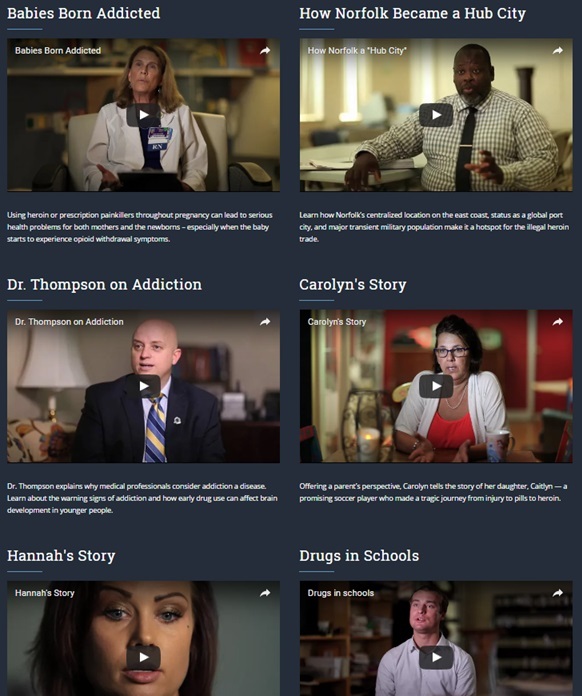 This new, centralized website will make it even easier for schools, families, community organizations, faith-based organizations, sports teams, and others to share the video with young people in their lives and with anyone who wants to better understand the scale of the heroin and opioid epidemic and its impact on Virginians. The site will also feature more in-depth interviews with affected families, people in long-term recovery, and healthcare and law enforcement professionals, as well as facts and figures about the scale of the problem and who it affects. 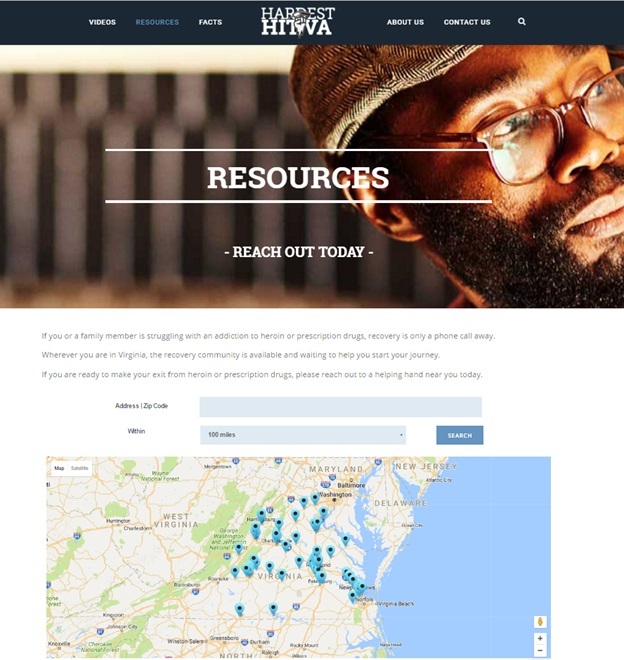 Because treatment and recovery resources must be a key part of turning the opioid crisis around, the new www.HardestHitVA.com includes a searchable database of recovery and treatment resources in every community in the Commonwealth. "We're fighting a stigma that causes too many people to suffer in silence and never get the help they really need. I hear so often from families that when their son or daughter developed a problem with heroin or prescription drugs they felt powerless and didn't know where to turn for help," said Attorney General Herring. "I hope that anyone who is struggling themselves, or who has a friend or family member fighting a substance abuse disorder, will visit the site and try to get connected to recovery and treatment resources in their area. There is an incredible community of caring, dedicated individuals that want to support their fellow Virginians and help them lead healthy, drug-free lives. We have to make sure that Virginians in every corner of the Commonwealth know that there is help, there is life after an addiction, and there is hope in recovery." Attorney General Herring has made combating the heroin and prescription opioid epidemic a top priority, attacking the problem with a multifaceted approach that includes education, prevention, and legislation to encourage reporting of overdoses in progress, expand the availability of naloxone, and expand access to the Prescription Monitoring Program. He has expanded the OAG's enforcement efforts against dealers and traffickers, working with state and federal partners to prosecute more than 58 heroin/opioid cases involving more than 400 pounds of heroin which is approximately 500,000 daily doses with an estimated street value of $12.8 million. He has supported federal efforts to improve the availability of treatment and recovery resources, partnered with U.S. Attorney Dana Boente to create the Hampton Roads Heroin Working Group to develop holistic, community-driven solutions to the heroin and opioid crisis, and made prescription drug disposal kits available across the Commonwealth.